Wanna make some easy necklaces? 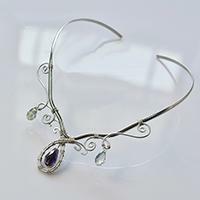 This silver wire wrapped necklace may give you some inspirations. Follow me to see how it's made. 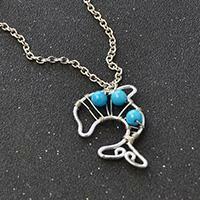 In this Pandahall original DIY project, you can see a silver wire wrapped necklace with blue drop bead decorated. Hope you like the wire wrapped necklace. 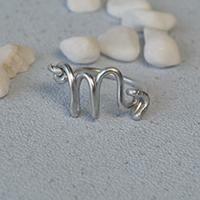 Wanna make a personalized scorpio ring? 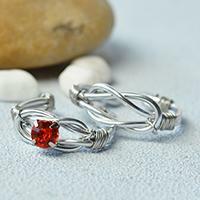 This easy DIY project will show you how to make silver scorpio wire wrapped rings. Hope you like the scorpio ring. 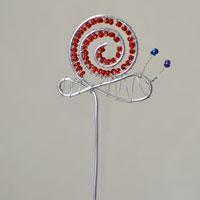 This article is about a red handmade wire wrapped butterfly ring. 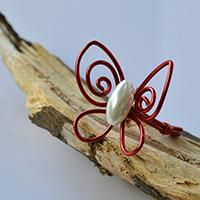 Just check the easy Pandahall tutorial below to see how to make this handmade wire wrapped butterfly ring. Looking for DIY wire wrapped bracelet designs? 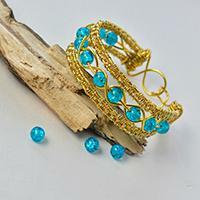 This golden wire wrapped bracelet with blue beads will be a good choice for you. Hope you like this golden wire wrapped bracelet. Love dragonfly ornament? 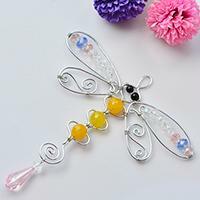 If yes, you shouldn’t miss today’s Pandahall tutorial on how to make handmade wire wrapped dragonfly hanging decoration with glass beads! Welcome to pandahall diy learning center! 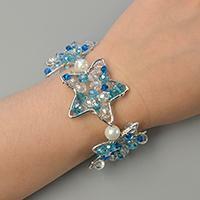 Please allow me to explain how to make this original handmade wire wrap star bracelet with glass beads decorated. Summer season is the best time to wear wire wrapped jewelry, isn't it? 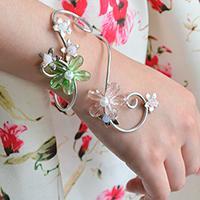 Follow me to make a beautiful wire wrapped cuff bracelet as below. 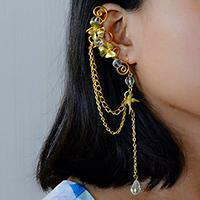 In this article, I want to share a golden wire wrapped and chain earring with you. Just check the simple Pandahall tutorial below to see how to make the golden wire wrapped earring. 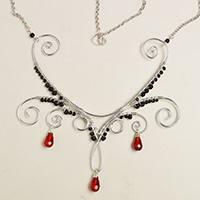 This DIY project is about a silver aluminum wire wrapped pendant necklace with glass beads. Just follow the free tutorial below to make one if you like it. Seeking for easy DIY necklace patterns? 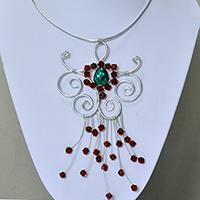 What about the following wire wrapped bead necklace? Follow me to see the simple tutorial on how to make this wire wrapped bead necklace. 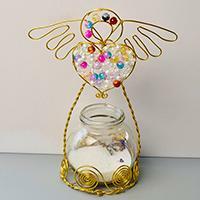 In today's video tutorial, I'll show you a small red heart wire wrapped basket craft. It's very easy to make. 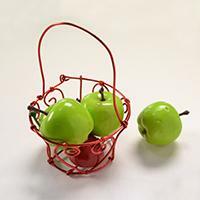 Hope you like this red wire basket craft. Do you need bookmarks for your favorite books? In this article, you can see a Pandahall tutorial on how to make easy wire wrapped snail bookmarks. Love making arm bands for women? 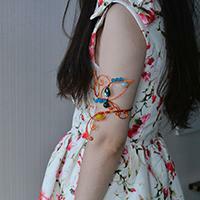 If yes, you may learn something useful from today’s Pandahall tutorial on how to make cheap arm bands. Hope you love it. 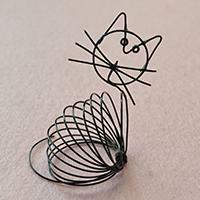 Do you wanna make a brooch by yourself recently? 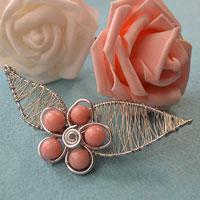 Follow this tutorial, within several minutes; you will be able to make a wearable flower brooch decorated with silver wire wrapped leaves. With Valentine Day's coming, are you looking for a unique gift for your girlfriend? 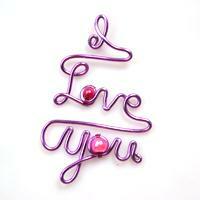 Here I will show you how to make a love letter necklace. It will be a perfect choice!